The all new MEDKIT PRO Medications Module (TS2 Ready™) provides the most versatile organization, and quick access to a variety medications. 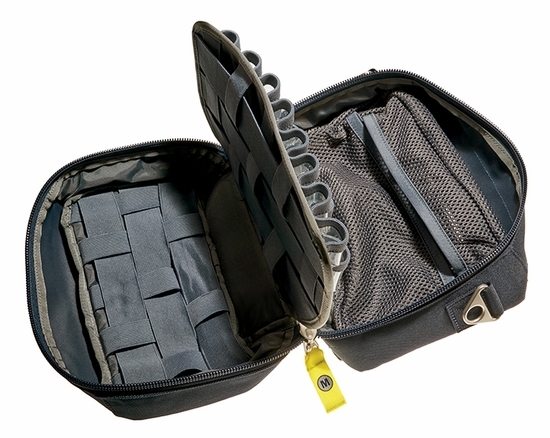 First line meds, IV’s, pre-filled meds, ampules, or boxes, they all safely fit into the protected, lockable module which can be attached to any MERET TS2-Ready™ bag or any MOLLE ready product. Designed in coordination with multiple Chiefs of EMS from varying locations, the MEDKIT PRO is an updated approach to new and enhanced ALS requirements for flight medics, critical care nurses, and paramedics; organizing medications into four easily accessible sections for quick treatment. 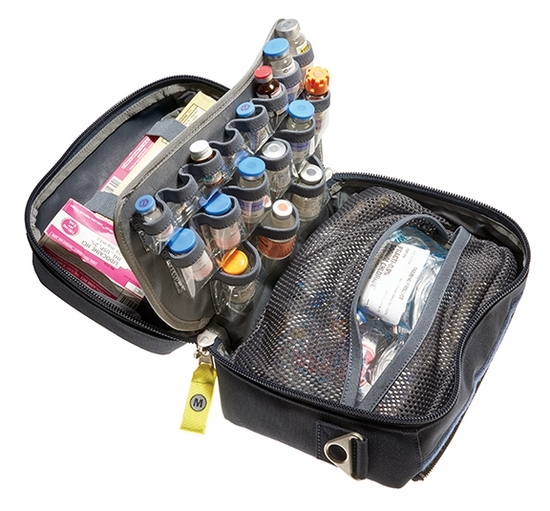 Compartment one offers a large flexible mesh pocket for multiple 500cc IV bag solutions and IV Start supplies (Tegaderm, Tape, Tourniquets, etc)). Compartment 2 provides storage for three 10-15 ml bottle meds, six 5-10 ml bottle meds, and eight 2-5 ml bottle meds. All bottle med pockets are clear for easy medication identification and quick removal for treatment. 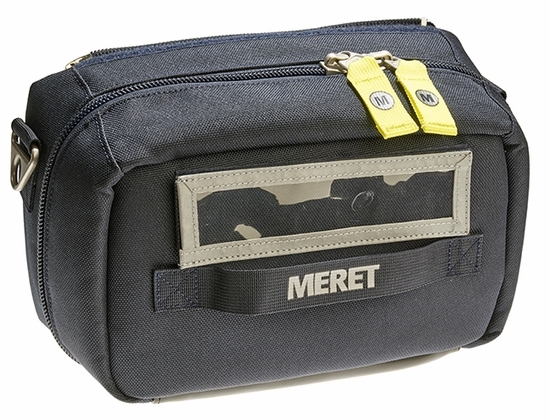 Compartments 3 and 4 use multiple woven elastic webbing bands to secure first line medications and pre-filled medications. The entire MEDKIT PRO is surrounded by thick padding to protect medications from breaking, reducing waste, and lost reimbursements. The MEDKIT PRO PRO is available in blue, red, and infection control red and tactical black. Infection control deluxe models are constructed from waterproof, durable, wipe-clean tarpaulin, and are designed specifically to easily clean and remove blood borne pathogens. Modules and supplies shown in images are not included. Product Dimensions: 6.25" x 10.25" x 5.5"